ANNELI DRECKER-REVELATION FOR PERSONAL USE. Anneli Drecker first came to prominence in 1987, when she was the lead singer of the Norwegian band Bel Canto. Back then, Anneli Drecker was just seventeen, but determined to make a career out of music. So Anneli Drecker made the brave decision to leave behind her Arctic hometown of Tromsø. This was a huge step into the unknown, but one that ultimately paid off for Anneli Drecker, who will release her fourth album Revelation For Personal Use on Rune Grammofon on ‘19th’ May 2017. Revelation For Personal Use is the perfect way for the Queen of Arctic Electronica to celebrate thirty years making music. It’s a career that started with a journey. When Anneli Drecker her hometown Tromsø, she knew that she wasn’t leaving alone. Instead, Anneli Drecker made the move to Bruxelles with the other two members of Bel Canto, Geir Jenssen and Nils Johansen. Soon, Bel Canto were part of Bruxelles’ thriving and vibrant indie scene. Bel Canto stood head and shoulders above the rest. It was only a matter of time before a record company came calling for Bel Canto. This soon proved to be the case when Belgian label Crammed Discs signed Bel Canto to their roster. Soon, Bel Canto were working on their debut album, White Out Conditions. Everything was going to plan until Bel Canto discovered a choir using the same name. So, Bel Canto were forced to release their debut album as Bel Kanto. This didn’t matter. When White Out Conditions was released in 1987 by Crammed Discs, it was to critical acclaim. Critics and cultural commentators forecast a great future for Bel Kanto. They weren’t wrong. Three years later, in 1990, and Bel Canto were about to release their sophomore album Birds Of Passage. By then, Bel Canto were back using their original name. This just happened to coincide with Bel Canto releasing an award winning album. When Birds Of Passage was released it was to widespread critical acclaim. Reviews of Birds Of Passage hailed the album one of the indie albums of 1990. Back home in Norway, the organisers of the Spellemannprisens, which are the Norwegian equivalent of a Grammy Award, agreed. Birds Of Passage won Bel Canto their first Spellemannprisens. For Bel Canto, Birds Of Passage was a game-changer. Birds Passage was then released internationally, and before long, Bel Canto star was in the ascendancy. However, what many critics remarked upon, was the ethereal quality of Anneli Drecker’s voice. It was almost inevitable that comparisons were drawn to the Cocteau Twins’ Liz Fraser. Both were the lead singer of successful indie bands and were blessed with a unique ethereal, enchanting and engaging vocal style. This would take Anneli Drecker far. However, another two years would pass before Bel Canto returned with their much anticipated third album. It wasn’t until 1992, that Bel Canto released their third album, Shimmering, Warm and Bright on Crammed Discs. Just like Bel Canto’s two previous albums, it was released to critical acclaim. Superlatives were exhausted by critics who continued to champion Bel Canto. Back home in their native Norway, Bel Canto won their second Spellemannprisen with Shimmering, Warm and Bright. The critics had been right when they said Bel Canto were a group going places. That proved to be the case, in more ways than one. After releasing a trio of albums on Crammed Discs, Bel Canto were signed by Atlantic Records. After five years and three albums, Bel Canto were leaving their indie roots behind. Another three years passed before Bel Canto released their fourth album, Magic Box in 1995. This was Bel Canto’s major label debut. Magic Box was released on Atlantic and in America, on the Atlantic imprint Lava. It seemed that making the move from indie to major hadn’t fazed Bel Canto. Nor did the fact that co-producing Magic Box was produced by Bel Canto were Jah Wobble, Mark Ferda, and Ulf Holand. This all-star production team were responsible for yet another critically acclaimed and award winning album. Magic Box was released to same critical acclaim that had accompanied previous Bel Canto releases. It also won Bel Canto the third Spellemannprisens of their career. Now Bel Canto were one of the few artists or groups to have won three Spellemannprisens. How could Bel Canto surpass this? Just two years later, in 1998, Bel Canto returned with the fifth album of their career, Rush. While it failed to win Bel Canto another Spellemannprise, Rush was hailed by some critics as a better album than Magic Box. This was fitting, because following Rush, Anneli Drecker embarked upon a sabbatical from Bel Canto. Following Rush, Anneli Drecker decided to embark upon a solo career. It saw Anneli collaborate with some high profile musicians on Tundra. This included Hans Magnus Ryan and Bent Sæther of Motorpsycho, plus Martin Horntveth and Sjur Miljeteig. Former Cocteau Twin Simon Raymonde produced a track. So did Röyksopp. Torbjørn Brundtland of Röyksopp played on and produced four tracks. With this glittering array of talent aiding and abetting, Anneli Drecker, Tundra, promised to be one of the most anticipated debut albums of 2000. It was no surprise that when Anneli released debut album her debut album Tundra in March 2000, it was to widespread critical acclaim. Critics were won over by Tundra’s more eclectic, genre-melting sound. Elements of electronica, rock and even post rock shine through on Tundra. As debut albums go, Tundra was the perfect album to launch Anneli Drecker’s solo career. However, Anneli’s solo career was put on hold after Tundra. In September 2001, Röyksopp released their debut album Melody A.M. One of the songs, Sparks was written by Anneli Drecker and featured her vocal. Sparks played its part in the runaway success of Melody A.M, which was certified platinum in Norway, Britain and Holland. Later in 2001, Melody A.M. was nominated for, and won, the Spellemannprisen for the best electronic album. By then, Röyksopp’s Melody A.M. was a huge success. In the process, it introduced Anneli Drecker to a wider audience. Having toured Melody A.M. with Röyksopp, Anneli’s thoughts turned to Bel Canto’s sixth album, Dorothy’s Victory. It was produced by the three members of Bel Canto, and released in February 2002. Bel Canto, it seemed could do no wrong. When critics heard Dorothy’s Victory, it received the same glowing reviews as its predecessors. It was fitting that critical acclaim accompanied Dorothy’s Victory. This would prove to Bel Canto’s final album. Anneli never knew this, as she embarked upon the next chapter of her career. Three years later, and Anneli Drecker released her sophomore album Frolic. It was released in April 2005, and marked a change in direction. Frolic was a much more downtempo album. This appealed to many critics, who lauded Anneli’s brave decision to reinvent herself. They wondered what direction Anneli’s third album would take? Another ten years passed before Anneli Drecker’s thoughts turned to her third album. During that ten year period Anneli Drecker was busy. She joined A-Ha for two gruelling world tours. However, part of the time Anneli spent with Røyksopp. Having recorded Melody A.M. with Røyksopp, Anneli Drecker joined them on several tours. A live album was released in 2006, Röyksopp’s Night Out. It featured Anneli’s vocals on What Else Is There? and Sparks, the two tracks she cowrote with Röyksopp. Four years later, Anneli rejoined Røyksopp for their third studio album Junior, which was released in March 2009. That would be the last Røyksopp album Anneli featured on. However, she continued to tour with them and also collaborated with a number of different artists. That has been the case throughout Anneli Drecker’s career. Even during her early days with Bel Canto, many artists and DJs have collaborated with Anneli Drecker. This includes everyone from DJ Krush, Gavin Friday, and Jah Wobble, to Hector Zazou, Tim Simenon, Guy Sigsworth and Ketil Bjørnstad. Each of these artists have worked with Anneli Drecker. So have many others, including those that would go on feature on Anneli Drecker’s long awaited third album, Rocks and Straws. It was an album that Anneli Drecker’s fans had been waiting ten long years for.While ten years was a long time to wait for an album, Rocks and Straws was well worth the wait. Rocks and Straws was a carefully crafted, career defining album, where Anneli Drecker pays homage to the town and region that shaped her. This the Queen of Arctic Electronica does in her own inimitable style on Rocks and Straws, which marked the comeback of Anneli Drecker. Two years later, and Anneli Drecker makes a welcome return with her fourth solo album Revelation For Personal Use on Rune Grammofon on ‘19th’ May 2017. It’s a followup to Rocks and Straws, and finds the Queen of Arctic Electronica, continuing to pay homage to the town and region that shaped her. This time though, the songs on Revelation For Personal Use are based on lyrics by local cult poet Arvid Hanssen, which were translated to English by artist and writer Roy-Frode Løvland. This was the inspiration for the eight songs penned by Anneli Drecker. They were recorded at four studios in Oslo and Tromsø, and became Revelation For Personal Use. Recording of Revelation For Personal Use took place at Kysten Studio and Propeller Studio, in Oslo, with further sessions taking place at Facing North Studio and Zenith Studio, in Tromsø. Anneli Drecker took charge of the arrangements, production and programming; played piano, organ, mellotron and vocals. She was accompanied by top Norwegian musicians. The rhythm section featured drummer and percussionist Erland Dahlen; drummers Rune Arnesen and Wetle Holte who also played dulcimer; bassists Even Ormestad and Kjetil Dalland plus guitarist Eivind Aarset. They were joined by keyboardist Sindre Hotvedt, cellist Frida Fredrikke Waaler Wærvågen, vocalist Peter G. Aa. Drecker, who also featured on Rocks and Straws and vocalist Radik Tiuliush who also plays mouth harp. Per Martinsen programmed drum beats on Waiting Time, while Jon Marius Aareskjold, Jonas Lie Theis and Sindre Hotvedt were responsible for programming parts of Revelation For Personal Use. When it came to adding the strings, the Arctic Philharmonic Orchestra were brought onboard. Once the album was recorded, Anneli Drecker and Jon Marius Aareskjold mixed Revelation For Personal Use. All that was left was the mastering, and Anneli Drecker’s much anticipated fourth album was ready for release. As Blue Evening opens Revelation For Personal Use, various subtle sounds glide in and out of the arrangement. Latterly, the sound of waves breaking on a deserted beach is replicatd. This gives way to a piano and shimmering strings that soon, accompany Anneli’s heartfelt, ethereal vocal as she sings: “look how calm the waves are falling.” From there, Anneli paints vivid and poignant pictures as the arrangement unfolds. Meanwhile, a piano adds an element of drama, the rhythm section provides the heartbeat and swathes of strings shiver and quiver. They help frame Anneli’s vocal until it drops out, and then replicate the landscape that she’s being singing about. Still though, the drama continues to build. In the midst of the arrangement, is what sounds like waves breaking on the beach. Later, when the arrangement reaches a crescendo, only a piano and Anneli’s vocal remain. She sings: “sitting on the rock I call my own, go to hear the forecast chanted, and walk lonely to my home.” It’s a beautiful and poignant way to end this epic cinematic song. Pizzicato strings and a guitar are joined by the rhythm section on Sun Wave. Their raison d’être is to set the scene for Anneli’s tender, joyous vocal. It’s accompanied by the piano and swathes of glacial strings. They provide the perfect accompaniment to Anneli’s impassioned vocal as the arrangement ebbs and flows. With just a minute to go, Anneli bowls a curveball, as the arrangement pauses, as if pondering changing direction. The tempo drops, before the arrangement cascades before Anneli’s vocal is carried along atop sweeping strings. Latterly, it’s pizzicato strings that can be heard before this joyous, celebratory song reaches a memorable crescendo. Compared to the previous songs, Days has a much rockier sound as it bursts into life. Drums pounds, strings sweep and a searing guitar cuts through the arrangement. They disappear leaving just Anneli’s ruminative vocal and her piano. When they drop out, the arrangement explodes back into life, with the piano, pounding rhythm section, blistering guitar and sweeping strings playing leading roles in this cinematic song. It sounds as if it belongs on the soundtrack to a blockbuster. Later, emotion fills Anneli’s vocal, while dancing and later, pizzicato strings accompany her piano, as the arrangement continues to builds. Still, the orchestra and rhythm section play leading roles as Anneli delivers an impassioned vocal that’s a mixture of power, emotion on this flawless Magnus Opus. On A Road marks another change of style. The arrangement is much more understated, with electronics playing their part in this soundscape. So do the drums that provide pulsating heartbeat, subtle strings and the piano. They accompany Anneli’s vocal that veers between wistful to breathy and sensual. Soon, it grows in power and is full of emotion. Meanwhile, the bass weaves its way across the arrangement as the piano, strings, drums and rocky guitar join Anneli in taking the song into anthem territory. Latterly, though, it’s just the piano and rueful, melancholy strings that accompany Anneli as this anthem-in-waiting. Swathes of sweeping strings accompany Anneli’s piano on Raindrops, before her tender, ethereal vocal enters as memories come flooding back. The strings are the perfect accompaniment as the arrangement meanders melodically along. Then when a chiming guitar enters, it’s all change. It joins with the rhythm section, piano and pizzicato strings as the tempo rises. Gradually, they set the scene for Anneli, before she delivers an elegiac vocal. By then, the carefully crafted arrangement features a jangling guitar, swathes of strings, piano and the rhythm section. They join with Anneli in creating a radio friendly slice of cinematic pop perfection. The arrangement to Snow almost skips along, as the piano plays. Soon, a melancholy cello ushers in Anneli’s quivering, shivering ethereal vocal. It’s beautiful and captivating. Meanwhile, the multilayered arrangement begins to unfold. Drums pound before a mellotron and dulcimer join a siren as Anneli’s vocal soars high above the arrangement. When it drops out, the piano and cello remain. Then when the vocal returns, they provide the perfect accompaniment as Anneli’s vocal grows in power and emotion, before reaching a poignant, ruminative crescendo. Closing Revelation For Personal Use is the title-track, where a piano combines with slow, hypnotic drums and the cello. They provide the backdrop for Anneli’s dreamy vocal, which floats along atop the understated arrangement. Quivering, flourishes of cello accompany Anneli’s vocal, before the baton passes to Radik Tiuliush. He unleashes an impassioned, emotive scats before Anneli returns. Her heartfelt vocal is accompanied by the mouth harp, deliberate stabs of piano and the cello. Later, it’s Anneli’s turn to improvise, before Radik returns, scatting and playing the mouth harp. This adds a new dimension to the final song in this second homage to the town and region where Anneli Drecker was born. Two years after releasing her third album, Rocks and Straws, the multitalented Anneli Drecker will returns with the followup Revelation For Personal Use on Rune Grammofon on ‘19th’ May 2017. Just like Rocks and Straws, it finds Anneli Drecker pays homage to the town and region that shaped her. This the Queen of Arctic Electronica does in her own inimitable style. The result is Revelation For Personal Use, which manages to surpass the quality of Rocks and Straws. That was never going to be easy, but Anneli Drecker has returned with an album that’s variously breathtakingly beautiful, cerebral, ethereal, hopeful, incisive and joyous. Other times, the music is melancholy and wistful, and results in reflection on the lyrics. Sometimes though, there’s a mysterious quality to Anneli Drecker’s cinematic lyrics, as she paints pictures of the barren Arctic landscape where she was born and brought up with her inimitable ethereal vocal. Effortlessly, Anneli Drecker breathes life, meaning and emotion into the lyrics to the songs on Revelation For Personal Use. Her vocal veers between tender to dramatic and powerful. Sometimes, heartfelt and impassioned, while other times it’s tinged with sadness. That is no surprise, given how personal the songs on Revelation For Personal Use are. They’re about her hometown of Tromsø and the Arctic region where Anneli Drecker was born and brought up. They shaped Anneli Drecker before she embarked upon a highly successful musical career in 1987. Thirty years later, and Anneli Drecker is regarded as one of the leading lights of the Norwegian music scene. She’s a singer songwriter, musician and producer, whose been crowned the Queen of Arctic Electronica. That is fitting, given Anneli Drecker’s impressive CV. Nowadays, Anneli Drecker is concentrating on her solo, career and is about to released her much anticipated fourth album Revelation For Personal Use. It showcases one of Europe’s most talented female singer-songwriters, Anneli Drecker. Her ethereal vocal has, quite rightly, been compared to Kate Bush and the Cocteau Twins’ Liz Fraser. Anneli Drecker belongs in such exalted company and can more than hold her own. While Kate Bush represents music’s past, Anneli Drecker represents music’s future. That might seem strange given Anneli Drecker has been around since 1987. 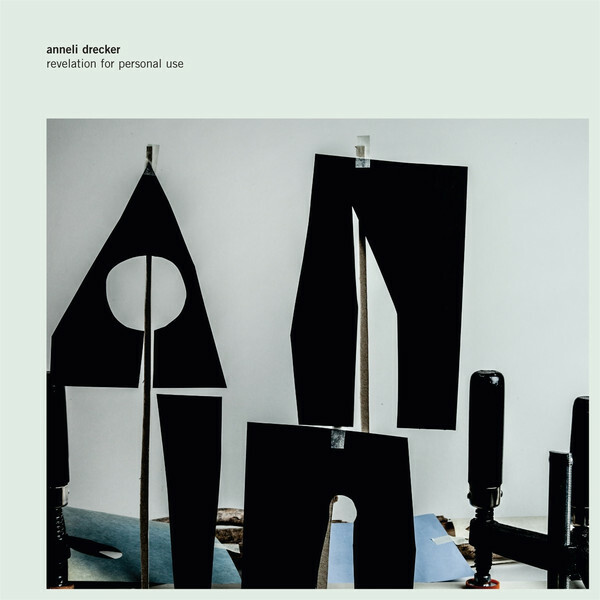 Despite that, Revelation For Personal Use is only Anneli Drecker’s fourth solo album. This is a new chapter in the Anneli Drecker story. Revelation For Personal Use is the finest album of Anneli Drecker’s solo career, and surpasses the quality of 2015s Rocks and Straws. That was never going to be easy. Rocks and Straws had set the bar high for future albums. Two years later, and the Queen of Arctic Electronica, Anneli Drecker, returns with her musical Magnus Opus, Revelation For Personal Use, which features music that ranges from memorable and melodic, to anthemic to heartbreakingly beautiful. ← KEB DARGE AND CUT CHEMIST PRESENT DARKSIDE: 30 SIXTIES GARAGE, PUNK AND PSYCH MONSTERS.